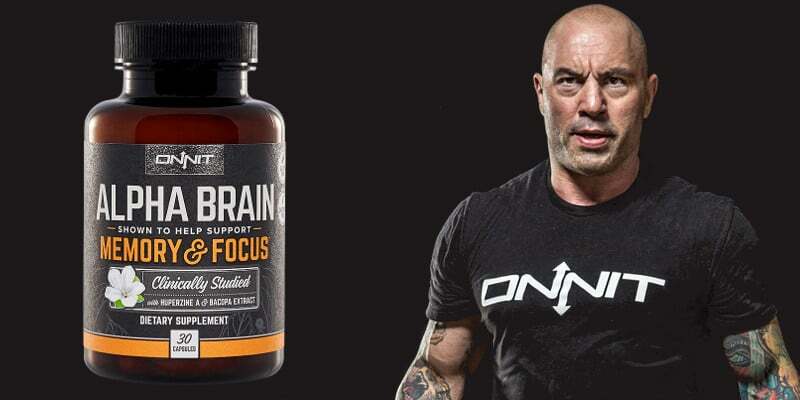 Alpha Brain is the flagship nootropic stack from Onnit Labs. 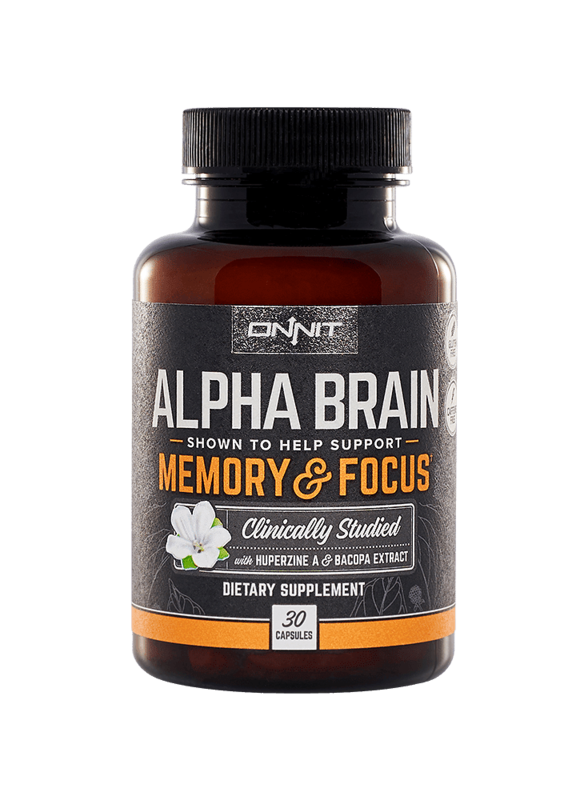 Instead of focusing on a specific aspect of cognition such as concentration or memory, Alpha Brain contains a list of ingredients which promote overall cognitive improvement. When I first heard about Alpha Brain I was a little skeptical. 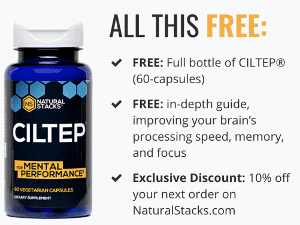 Many other nootropic stacks promise much but include only trace amounts of the most effective nootropics. With their huge marketing campaign, it seemed a real possibility that they were pushing style over substance. After taking a closer look (and giving it a try), it became obvious that as far as nootropic stacks go, this is one of the best ones currently on the market. 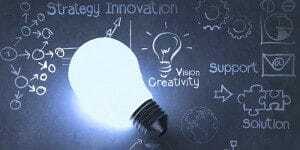 If you are looking for general cognitive enhancement, it is one of the few that I would recommend trying if you would rather not develop your own regimen. Alpha Brain contains a number of powerful and proven nootropics, and in high enough doses to be effective. Huperzine A provides acetylcholinesterase inhibition, while Alpha GPC synergizes by providing the brain with more choline. Vinpocetine increases blood-flow to the brain and prevents the degradation of IkB. Having insufficient IkB has been linked to a whole host of nasty consequences, so this is a welcome addition. The inclusion of Bacopa, Theanine, and Tyrosine add three more effective nootropics to the mix. You may want to take Alpha Brain with caffeine to further improve the effectiveness of its theanine. 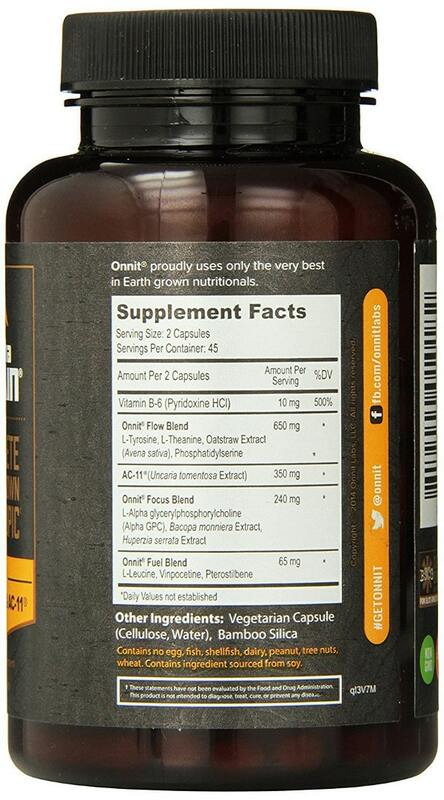 It also includes some supplements not seen before in nootropic stacks. AC-11′s ability to repair damage to DNA is especially interesting. While it’s not yet clear how this effects cognition, it doesn’t seem like a bad inclusion. For a stack designed to improve overall intelligence and mental function, including a ‘racemic drug would have been a no-brainer. The decision not to include a ‘racetam could be influenced by the FDA’s petulant grudge against piracetam, or perhaps because of financial reasons. Still, a ‘racetam would have synergized well with the Alpha GPC that was included and would have provided powerful overall benefits. If you plan on taking it daily as a mental aid, you’ll find that it is also somewhat expensive. A common flaw in nootropic stacks is that they often include only small amounts of many different nootropics. While this allows them to advertise an impressive ingredients list, many nootropics are ineffective at such low doses and therefore the stack is ineffective overall. Alpha Brain manages to avoid this, providing ample dosages of the most powerful nootropics in the stack. The recommended dose of Alpha Brain is between 1 to 3 capsules per day. By looking at how much of each ingredient is provided at that dose, we can get a more quantitative measure of how effective Alpha Brain is. You can click the links in some ingredients to see our full articles on them. Alpha GPC (100 mg) – Alpha GPC is an excellent source of choline, a precursor to the neurotransmitter acetylcholine. Choline supplements are most often used for its synergy with ‘racetams and are rarely used alone in individuals who get normal amounts through their diets. While this ingredient would be much more effective if a ‘racetam was also included, at 100 mg per capsule a 3 capsule dose will get you a light, but decent amount. It does synergize well with the Huperzine A included as well. Huperzine A (100 mcg) – Huperzine A is an acetylcholinesterase inhibitor, which means it prevents the breakdown of acetylcholine in the brain. This ingredient synergizes well with the included Alpha GPC, causing levels of acetylcholine in the brain to be significantly higher. Huperzine A has been shown to have beneficial effects on learning and memory and has even been reported to increase levels of NGF in the brain, causing more neurogenesis and supporting long-term mental health. A dose of 100 mcg is pretty respectable, so if you take 3 capsules you will get a pretty significant dose. This ingredient will absolutely be effective. 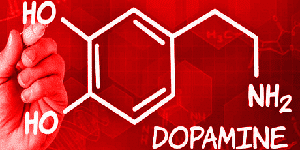 Vinpocetine (5 mg) – Vinpocetine is a nootropic drug synthesized from the periwinkle plant. Research has shown it to improve memory, blood-flow to the brain, and to have neuroprotective properties. A common dose of Vinpocetine is between 2-5 mg, so by taking 3 capsules of Alpha Brain, you will definitely be getting an effective dose. Bacopa (100 mg) – Bacopa is an herb which has shown to have many nootropic benefits including improving memory, motor learning, and reducing anxiety. A typical dose of Bacopa ranges from 100 – 300 mg, so you will be getting a good amount even at a low Alpha Brain dosage. Pterostilbene (750 mcg) – Pterostilbene is an ingredient commonly found in blueberries and grapes. While it is not a cognitive enhancer in the same sense as Huperzine A or Bacopa, it is a potent anti-oxidant and improves long-term mental health. 750 mcg is a very solid dose of Pterostilbene, so you will get plenty even with just one capsule. L-Tyrosine (300 mg) – Tyrosine is a precursor to the production of L-dopa and has been proven to provide a large list of mental benefits including boosting memory, problem-solving skills, mental energy, and concentration. A typical recommended dose of Tyrosine is between 500 – 1500 mg per day. 3 capsules of Alpha Brain will put you near the upper part of this range. Theanine (200 mg) – Theanine is an amino acid which is most commonly found in Green Tea. It acts as a stress reliever as well as providing benefits to learning and memory. It is especially renowned as an excellent nootropic to use along with caffeine. 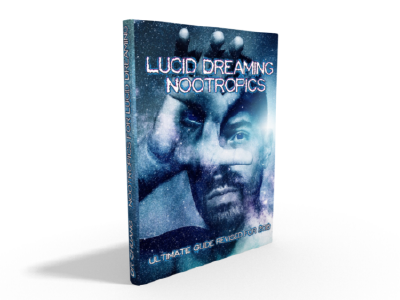 To experience any nootropic effects you’ll want to take it at doses far higher than are found in a single cup of tea. 200 – 300 mg when needed is usually an effective dose. 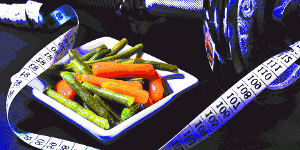 There actually may be too much Theanine in Alpha Brain for your taste, as it can be mildly sedating at higher doses. AC-11 (350 mg) – AC11 is a compound which has been proven to improve the body’s ability to repair damage to its DNA. While it is hard to say just how this effect impacts cognitive performance, it certainly is useful for overall long-term health. 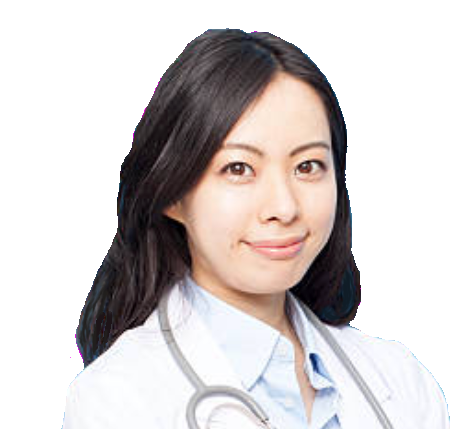 Vitamin B6 (10 mg) – Vitamin B6 is a very important compound which is found in many different foods. It plays a vital role in many processes including the creation of essential neurotransmitters. While taking additional B6 as a supplement won’t do much for those who get enough in their diets, those who don’t could benefit from it. The 10 mg included in each capsule of Alpha Brain is plenty for this purpose. Phosphatidylserine (50 mg) – An essential lipid which makes up much of brain cell membranes, many people claim that taking Phosphatidylserine supplements can mitigate stress and improve mental function. While little evidence backs up its purported cognitive enhancing benefits, there is research which suggests it improves athletic performance. 50 mg is a solid dose. Oat Straw (300 mg) – – Oat Straw is a nutrient which is said to help mitigate stress and help concentration. 300 mg per capsule is a good inclusion. Alpha Brain costs about $35 dollars for 30 capsules. For what’s included, this is a pretty fair price. Still, if you think you’ll need 2 or 3 capsules daily you may want to find out how much it would cost to just construct your own regimen. If you don’t have specific goals in mind and are looking for an easy way to boost your overall cognitive performance, Alpha Brain is one of the best nootropic stacks currently on the market. It contains large doses of powerful nootropics. 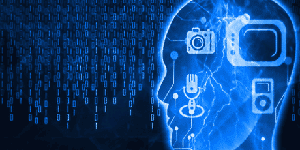 Will it be as effective as a carefully designed and tweaked regimen to fit your personal needs? Probably not. But it is an effective and easy to use product.